News ahead of the Decathlon Glasgow Grand Prix in Kings Park. Riders are advised that there will be no parking in Kings Park other than for event volunteers. Riders and spectators should park in Kings Park Secondary School where the changing and showers are situated. It is a short walk/ride to the venue which will be signposted from the school. Arrive in plenty of time for your event – sign on closes 30mins before the start of each event and will be strictly adhered to. Sign-on and the registration for the timing system will take place in the Park. Prize presentations for the first three rider in each category will take place immediately after the last rider has finished in a presentation area set aside next to the finish area. Prizes for minor placings will be posted out if results are not available on the day. We are expecting riders from the North of England who will provide a good test for Scottish competitors. A double pit will be in operation. Due to the recent wet weather the course is expected to be heavy and a traditional mud fest. We are working on providing a water supply to assist rider helpers who have access to power washers. A working safe area will be provided in the pits for the cleaning and servicing of machines. The course is a mixture of tarmac, grass, off camber and single track. Good grip tyres are recommended (as is a spare bike!). 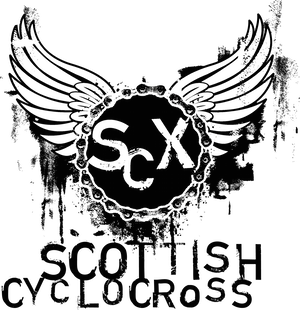 The event will be held under Scottish Cycling Technical Regulations. This is a Category A event with entry on the day (although you can pre enter via snail mail). To dispel any urban myths about Cat A events, riders can compete in any type of machine. That is, a full cross bike or MTB that is in good working order and free from non-racing attachments. Riders will not be withdrawn from the event if lapped. To speed up the sign-on process for the U12s, any parent or guardian can e-mail the names, gender, club/team, age on day of the race and BC licence number (if not a member please state this) to: Glasgowcyclingevents2@gmail.com Rider names will then be entered onto a sign-on sheet made available on race day. If we have sufficient number a seperate race will be held for U8s. Unfortunately we are not able to provide this service for other events as a levy has to be paid for all riders whose name appears on the sign-on sheet whether they sign-on or not. New timings for the events have been made to ensure riders and volunteers get the best out of what will be a busy day. Check them out below.